Born out of the mid-70s UK pub and festival scene, Psych-Punk rockers The Brainiac 5 released one EP and one 7″ back in the day, then recorded one full length album (World Inside) which was produced by Hawkwind’s Martin Griffin. The band split before the album was released though it was eventually unleashed in 1988 by Reckless Records. In 2013 the band reformed and released the Space Is The Place 10″, and in 2014 the 16 song retrospective When Silence Was Sound which compiled the songs from their 70s releases, including the World Inside LP plus live tracks. And now we’ve got Exploding Universe, a set of 10 new songs by reformed Brainiac 5 members Charles Taylor, John ‘Woody’ Wood and Duncan ‘Mad Dog’ Kerr, plus drummer Wayne Worrell and Nick Onley on sax and flute, with contributions from Ethan Landis on trumpet and percussionist Phil Overhead. Haphazard! opens the set and sounds like the band picked up precisely where they left off, being a Punk edged rocker with jawharp effects, saxophone and a brief dirty Psych guitar lead. Ordinary Man goes in a different directly, being a bouncy bit of tightly arranged Punk-Pop with swinging horns and fine harmonies behind Taylor’s oh so very English vocals. Empty And Blue features sultry rocking Blues with lots of horn action, harmonica and dirty guitar, plus the cool and strange contrast of Taylor’s distinctly Brit-Punk vocals. I like how near the end the music veers into a kind of I Want Candy tribal rocking groove with cool manic Psych guitar. The Beauty Of It All continues the zig-zag down varying stylistic territory, being an acoustic driven singer-songwriter bit of Folk-Pop with a head nodding flow and a nice flute solo. I like how it builds to full band majesty and wraps up with a beautifully tasty guitar solo before easing back into the main theme for a peaceful finale. Walls Are Falling Down is a pleasant melodic horn swinging rocker. Your Body’s Alright is similar with rocking guitar and a good time dancefloor Jazz flavor. I like the way Stars Plan Ahead alternates between lazy grooving Jazz-Reggae and more rocking segments, with a detour into a brief Jazz-Prog transition before launching into a ripping guitar jam. Lots happening here. Ditto for Growing Up, which has a “Big Band” Punk vibe with Jazz and Blues swing plus bits of hard Psych guitar. (I’m The) Glue builds on this sound, deftly blending saucy swinging big band Jazz with Hard Rock and Psych guitar colorings and those ever present punky vocals. And Exorcist Plan is a spirited rocker that brings the set to a close. In summary, decades may have passed for these guys but The Brainiac 5 have clearly matured as musicians, serving up an accessible set of tightly played and arranged songs that draw on Jazz, Blues, Pop, Punk, Hard Rock and Psych influences. Despite that array it’s all completely cohesive yet somehow… different. 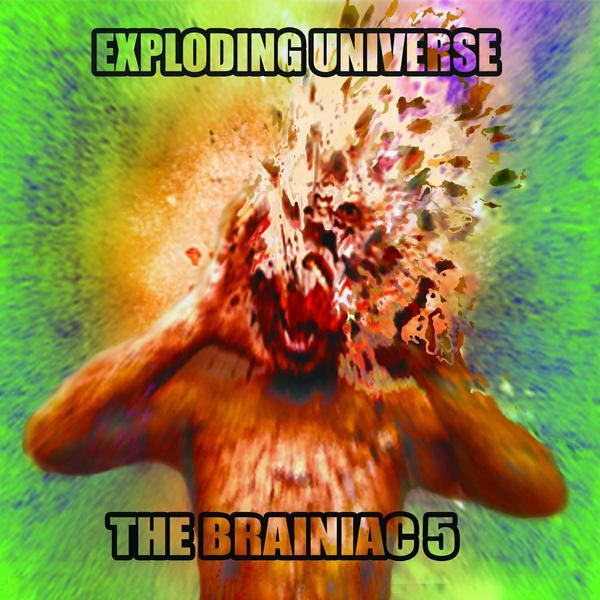 If you’re new to The Brainiac 5, as I was, check out both the new album and the retrospective collection. The early music is just as diverse and it’s cool to compare with where they have impressively arrived today.